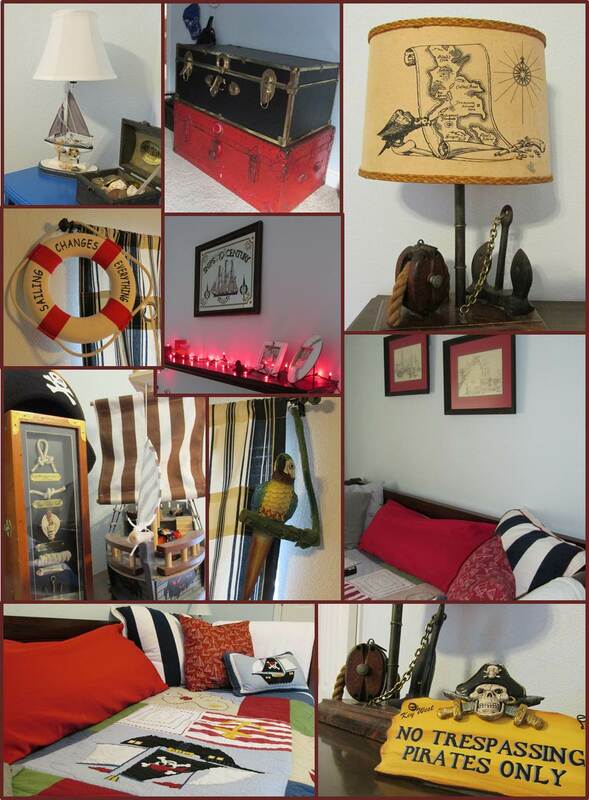 A collection of old and new items are what have helped to create this pirate paradise. Old storage trunks or "treasure chests", store toys and extras. The old nautical lamp with the map was a lucky find and the previous owner was in Pearl Harbor during WWII. No pirate room is complete without a parrot! And the bedding was a couldn't pass up find at TJ Maxx. A room where a little boy can grow into with "grown-up" art pieces, furniture and accessories.